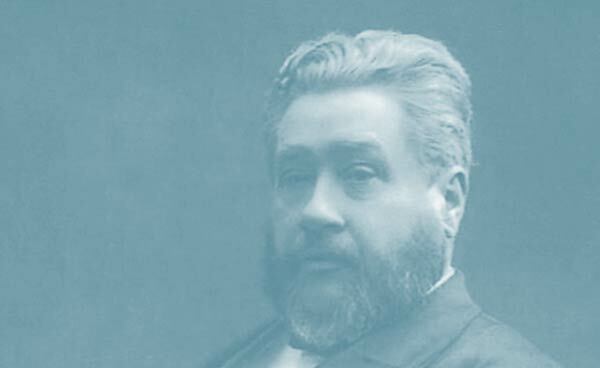 Note: On Tuesday, June 25th, 1861, the beloved C. H. Spurgeon visited Swansea. The day was wet, so the services could not be held in the open-air; and, as no building in the town was large enough to hold the vast concourses of people who had come from all parts to hear the renowned preacher, he consented to deliver two discourses in the morning; first at Bethesda, and then at Trinity Chapel. At each place he preached for an hour and a quarter. The weather cleared up during the day; so, in the evening, Mr. Spurgeon addressed an immense gathering of people in the open-air.—T.W.M. FORWARDED BY PASTOR T. W. MEDHURST, CARDIFF. "All that the Father giveth Me shall come to Me; and him that cometh to Me I will in no wise cast out. "—John 6:37. What a difference there is between the words of Christ, and those of all mere men! Most men speak many words, yet say but little; Christ speaks few words, yet says very much. In modern books, you may read scores of pages, and scarcely come across a new thought; but when Christ speaks, every syllable seems to tell. He hits the nail on the head each time He lifts the hammer of His Word. The Words of Christ are like ingots of solid gold; we preachers too often beat out the gold so thin, that whole acres of it would scarcely be worth a farthing. The Words of Christ are always to be distinguished from those of His creatures, not only for their absolute truthfulness, but also for their profound fulness of matter. In all His language He is "full of grace and truth." Look at the text before us. Here we have, in two small sentences, the sum and substance of all theology. The great questions which have divided the Church in all ages, the apparently contradictory doctrines which have set one minister of Christ against his fellow, are here revealed so simply and plainly, "that he may run that readeth" (Habakkuk ii.2). Even a child may understand the Words of Christ, though perhaps the loftiest human intellect cannot fathom the mystery hidden therein. Take the first sentence of my text: "All that the Father giveth Me shall come to Me." What a weighty sentence! Here we have taught us what is called, in the present day, "High Calvinistic doctrine"—the purpose of God; the certainty that God's purpose will stand; the invincibility of God's will; and the absolute assurance that Christ "shall see of the travail of His soul, and shall be satisfied." Look at the second sentence of my text: "And him that cometh to me I will in no wise cast out." Here we have the richness, the fulness, the unlimited extent of the power of Christ to save those who put their trust in Him. Here is a text upon which one might preach a thousand sermons. We might take these two sentences as a life-long text, and never exhaust the theme. Mark, too, how our Lord Jesus Christ gives us the whole truth. We have many ministers who can preach well upon the first sentence: "All that the Father giveth Me shall come to Me." Just set them going upon Election, or everlasting covenant engagements, and they will be earnest and eloquent, for they are fond of dwelling upon these points, and a well-instructed child of God can hear them with delight and profit. Such preachers are often the fathers of the Church, and the very pillars thereof; but, unfortunately, many of these excellent brethren cannot preach so well upon the second sentence of my text: "And him that cometh to Me I will in no wise cast out." When they get to that truth, they are half afraid of it; they hesitate to preach what they consider to be a too open salvation. They cannot give the gospel invitation as freely as they find it in the Word of God. They do not deny it, yet they stutter and stammer sadly, when they get upon this theme. Then, on the other hand, we have a large number of good ministers who can preach on this second clause of the text, but they cannot preach on the first clause. How fluent is their language as they tell out the freeness of salvation! Here they are much at home in their preaching; but, we are sorry to be compelled to say that, very often, they are not much at home when they come to doctrinal matters, and they would find it rather a difficult matter to preach fluently on the first sentence of my text. They would, if they attempted to preach from it, endeavour to cut out of it all that savours of Divine Sovereignty. They do not preach the whole "truth" which "is in Jesus." Why is it that some of us do not see both sides of God's revealed truth? We persist in closing one eye; we will not see all that may be seen if we open both our eyes; and, sometimes, we get angry with a brother because he can see a little more than we do. I think our text is very much like a stereoscopic picture, for it presents two views of the truth. Both views are correct, for they are both photographed by the same light. How can we bring these two truths together? We get the stereoscope of the scripture, and looking with both eyes, the two pictures melt into one. God has given us, in His Word, the two pictures of divine truth; but we have not all got the stereoscope properly adjusted to make them melt into one. When we get to heaven, we shall see how all God's truth harmonizes. If we cannot make these two parts of truth harmonize now, at any rate we must not dare to blot out one of them, for God has given them both. Now, as God shall help me this morning, I want to expand both sentences of my text with equal fidelity and plainness. I shall not expect to please some of you while speaking on the first sentence, and I shall not be surprised if I fail to please others of you when I come to the second sentence; but, in ether case, it will be a small matter to me if I have an easy conscience because I have proclaimed what I believe to be the whole truth of God. I am sure you will be willing to give a patient hearing to that which you may not fully receive, if you believe it to be declared in all honesty. Reject what I say, if it be not true, but if it be the Word of God, receive it; and, be it known unto you that it is at your peril if you dare to reject the truthful Word of the glad tidings of God. I. I will begin with the first sentence of the text: "All that the Father giveth Me shall come to Me." We have here, first, THE FIRM FOUNDATION UPON WHICH OUR SALVATION RESTS. It rests, you perceive, not on something which man does, but on something which God the Father does. The Father gives certain persons to His Son, and the Son says, "All that the Father giveth Me Shall come to Me." I take it that the meaning of the text is this,—that, if any do come to Jesus Christ, it is those whom the Father gave to Christ. And the reason why they come,—if we search to the very bottom of things,—is, that the Father puts it into their hearts to come. The reason why one man is saved, and another man is lost, is to be found in God; not in anything which the saved man did, or did not do; not in anything which he felt, or did not feel; but in something altogether irrespective of himself, even in the sovereign grace of God. In the day of God's power, the saved are made willing to give their souls to Jesus. The language of Scripture must explain this point. "As many as received Him, to them gave He power to become the sons of God, even to them that believe on His name: which were born, not of blood, nor of the will of the flesh, nor of the will of man, but of God" (John i. 12, 13). "So then it is not of him that willeth, nor of him that runneth, but of God that sheweth mercy" (Romans ix. 16). If you want to see the fount of grace, you must go to the everlasting God; even as, if you want to know why that river runs in this direction, and not in that, you must trace it up to its source. In the case of every soul that is now in heaven, it was the will of God that drew it thither. In the case of every spirit that is on its way to glory now, unto God and unto Him alone must be the honour of its salvation; for He it is who makes one "differ from another" (1 Cor. iv. 7). I do not care to argue upon this point, except I put it thus: If any say, "It is man himself who makes the difference," I reply, "You are involving yourself in a great dilemma; if man himself makes the difference, then mark—man himself must have the glory." Now, I am certain you do not mean to give man the glory of his own salvation; you would not have men throw up their caps in heaven, and shout, "Unto ourselves be the glory, for we, ourselves, were the hinge and turning point of our own salvation." No, you would have all the saved cast their crowns at the feet of Jesus, and give to Him alone all the honour and all the glory. This, however, cannot be, unless, in that critical point, that diamond hinge upon which man's salvation shall turn, God shall have the control, and not the will of man. You know that those who do not believe this truth as a matter of doctrine, do believe it in their hearts as a matter of experience. I was preaching, not very long ago, at a place in Derbyshire, to a congregation, nearly all of whom were Methodists, and as I preached, they were crying out, "Hallelujah! Glory! Bless the Lord!." They were full of excitement, until I went on to say in my sermon, "This brings me to the doctrine of Election." There was no crying out of "Glory!" and "Hallelujah!" then. Instead, there was a great deal of shaking of the head, and a sort of telegraphing round the place, as though something dreadful was coming. Now, I thought, I must have their attention again, so I said, "You all believe in the doctrine of Election?" "No, we don't, lad," said one. "Yes, you do, and I am going to preach it to you, and make you cry 'Hallelujah!' over it." I am certain they mistrusted my power to do that; so, turning a moment from the subject, I said, "Is there any difference between you and the ungodly world?" "Ay! Ay! Ay!" "Is there any difference between you and the drunkard, the harlot, the blasphemer?" "Ay! Ay! Ay!" Ay! there was a difference indeed. "Well, now," I said, "there is a great difference; who made it, then?" for, whoever made the difference, should have the glory of it. "Did you make the difference?" "No, lad," said one; and the rest all seemed to join in the chorus. "Who made the difference, then? Why, the Lord did it; and did you think it wrong for Him to make a difference between you and other men?" "No, no," they quickly said. "Very well, then; if it was not wrong for God to make the difference, it was not wrong for Him to purpose to make it, and that is the doctrine of Election." Then they cried, "Hallelujah!" as I said they would. The doctrine of Election is God's purposing in His heart that He would make some men better than other men; that He would give to some men more grace than to other men; that some should come out and receive the mercy; that others, left to their own free will, should reject it; that some should gladly accept the invitations of mercy, while others, of their own accord, stubbornly refuse the mercy to which the whole world of mankind is invited. All men, by nature, refuse the invitations of the gospel. God, in the sovereignty of His grace, makes a difference by secretly inclining the hearts of some men, by the power of His Holy Spirit, to partake of His everlasting mercy in Christ Jesus. I am certain that, whether we are Calvinists or Arminians, if our hearts are right with God, we shall all adoringly testify: "We love Him, because He first loved us." If that be not Election, I know not what it is. II. Now, in the second place, note THE CERTAINTY OF THE ETERNAL SALVATION OF ALL WHO WERE GIVEN TO JESUS; "All that the Father giveth Me shall come to Me." He gave up His well-beloved Son to die upon the cross of Calvary, shall in time be drawn by the Holy Spirit, and shall surely come to Christ, and be kept by the Spirit, through the precious blood of Christ, and be folded for ever with His sheep, on the hill-tops of glory. Mark! "All that the Father giveth Me shall come to Me." Not one of those whom the Father hath given to Jesus shall perish. If any were lost, the text would have to read: "Almost all," or, "All but one;" but it positively says "All," without any exception; even though one may have been, in his unregenerate state, the very chief of sinners. Yet even that chosen one, that given one, shall come to Jesus; and when he has come, he shall be held by that strong love that at first chose him, and he shall never be let go, but shall be held fast, even unto the end. Miss Much-afraid, and Mrs. Despondency, and Mr. Feeble-mind, shall as certainly come to the arms of Christ, as Mr. Great-heart, and Mr. Faithful, and Mr. Valiant-for-Truth. If one jewel were lost from Christ's crown, then Christ's crown would not be all-glorious. If one member of the body of Christ were to perish, Christ's body would not be complete. If one of those who are one with Christ should miss his way to eternal life, Christ would not be a perfect Christ. "All that the Father giveth Me Shall come to Me." "But suppose they will not come?" I cannot suppose any such thing, for He says they "shall come." They shall be made willing in the day of God's power. God knows how to make a passage through the heart of man; and though man is a free agent, yet God can incline him, willingly, to come to Jesus. There are many sentences even in Wesley's hymn-book which contain this truth. If God took away freedom from man, and then saved him, it would be but a small miracle. For God to leave man free to come to Jesus, and yet to so move him as to make him come, is a divinely-wrought miracle indeed. If we were for a moment to admit that man's will could be more than a match for God's will, do you not see where we should be landed? Who made man? God! Who made God? Shall we lift up man to the sovereign throne of Deity? Who shall be master, and have his way, God or man? The will of God, that says they "shall come", knows how to make them come. "But suppose it should be one of those who are living in the interior of Africa, and he does not hear the gospel; what then?" He shall hear the gospel; either he shall come to the gospel, or the gospel shall go to him. Even if no minister should go to such a chosen one, he would have the gospel specially revealed to him rather than that the promise of the Almighty God should be broken. "But suppose there should be one of God's chosen who has become so bad that there is no hope for him? He never attends a place of worship; never listens to the gospel; the voice of the preacher never reaches him; he has grown hardened in his sin, like steel that has been seven times annealed in the fire; what then?" That man shall be arrested by God's grace, and that obdurate, hard-hearted one shall be made to see the mercy of God; the tears shall stream down his cheeks, and he shall be made willing to receive Jesus as Saviour. I think that, as God could bend my will, and bring me to Christ, He can bring anybody. And perish'd in my sin." Yes, "sweetly forced me in;"—there is no other word that can so accurately describe my case. Oh, how long Jesus Christ stood at the door of my heart, and knocked, and knocked, and knocked in vain! I asked: "Why should I leave the pleasures of this world?" Yet still He knocked, and there was music in every sound of His pleading voice; but I said, "Nay, let Him go elsewhere." And though, through the window, I could see His thorn-crowned head, and the tears standing in His eyes, and the prints of the nails in His hands, as He stood and knocked, and said, "Open to Me," yet I heeded Him not. Then He sent my mother to me, and she pleaded, "let the Saviour in, Charlie;" and I replied, in action, though not in words, "Nay, I love thee, my mother; but I do not love Christ, thy Saviour." Then came the black hours of sickness; but in effect I said, "Nay, I fear not sickness, nor death itself; I will still defy my Maker." But it happened, one day, that He graciously put in His hand by the hole of the door, and I moved toward Him, and then I opened the door, and cried, "Come in! Come in!" Alas! alas! He was gone; and for five long years I stood, with tears in mine eyes, and I sought Him weeping, but I found Him not. I cried after Him, but He answered me not. I said, "Whither is He gone? Oh, that I had never rejected Him? Oh, that He would but come again!" Surely the angels must then have said, "A great change has come over that youth; he would not let Christ in when He knocked, but now he wants Christ to come." And when He did come, do you think my soul rejected Him? Nay, nay; but I fell down at His feet, crying, "Come in! Come in! thou Blessed Saviour. I have waited for Thy salvation, O my God!" There is no living soul beyond the reach of hope, no chosen one whom Christ cannot bring up even from the very gates of hell. He can bare His arm, put out His hand, and pluck the brand "out of the fire" (Zechariah iii.2). In a horrible pit, in the miry clay, His jewels have been hidden; but down from the throne of light He can come, and thrusting in His arm of mercy, He can pull them out, and cause them to glitter in His crown for ever. Let it be settled in our hearts, as a matter of fact, that what God has purposed to do, He will surely accomplish. Divine Sovereignty to them; for that will do it right speedily. III. I shall now turn very briefly to the second sentence of my text: "And him that cometh to Me I will in no wise cast out." Let the whole world come, still this promise is big enough to embrace them all in its arms. There is no mistake here, the wrong man cannot come. If any sinner come to Christ, he is sure to be the right one. Mark, too, as there is no limitation in the person coming, so there is no limitation in the manner of the coming. Says one, "Suppose I come the wrong way?" You cannot come the wrong way; it is written, "No man can come to Me, except the Father which hath sent Me draw him." "No man can come unto Me, except it were given unto him of My Father" (John vi.44,65). If, then, you come to Christ in any way, you are drawn of the Father, and He cannot draw the wrong way. If you come to Christ at all, the power and will to come have been given you of the Father. If you come to Christ, He will in no wise cast you out; for no possible or conceivable reason will Jesus ever cast out any sinner who comes to Him. There is no reason in hell, or on earth, or in heaven, why Jesus should cast out the soul that comes to Him. If Satan, the foul accuser of the brethren, brings reasons why the coming sinner should not be received, Jesus will "cast down" the accuser, but He will not "cast out" the sinner. "Come unto Me, all ye that labour, and are heavy laden, and I will give your rest," is still His invitation and His promise, too. Let us suppose a case by the way of illustration. Here is a man in Swansea,—ragged, dirty, coal-begrimed,—who has received a message from Her Most Gracious Majesty, Queen Victoria. It reads in this wise: "You are hereby commanded to come, just as you are, to our palace at Windsor, to receive great and special favours at our hand. You will stay away at your peril." The man reads the message, and at first scarcely understands it; so he thinks, "I must wash and prepare myself." Then, he re-reads the royal summons, and the words arrest him: "Come just as your are." So he starts, and tells the people in the train where he is going, and they laugh at him. At length he arrives at Windsor Castle; there he is stopped by the guard, and questioned. He explains why he has come, and shows the Queen's message; and he is allowed to pass. He next meets with a gentlemen in waiting, who, after some explanations and expressions of astonishment, allows him to enter the ante-room. When there, our friend becomes frightened on account of his begrimed and ragged appearance; he is half inclined to rush from the place with fear, when he remembers the works of the royal command: "Stay away at your peril." Presently, the Queen herself appears, and tells him how glad she is that he has come just as he was. She says she purposes that he shall be suitably clothed, and be made one of the princes of her court. She adds, "I told you to come as you were. It seemed to be a strange command to you, but I am glad you have obeyed, and so come." Sinner, trust in Jesus: and if thou dost perish trusting in Jesus, I will perish with thee. I will make my bed in hell, side by side with thee, sinner, if thou canst perish trusting in Christ, and thou shalt lie there, and taunt me to all eternity for having taught thee falsely, if we perish. But that can never be; those who trust in Jesus shall never perish, neither shall any pluck them out of His hand. Come to Jesus, and He will in no wise cast thee out. May the Lord bless the words I have spoken! Though hastily suggested to my mind, and feebly delivered to you, the Lord bless them, for Christ's sake! Amen.